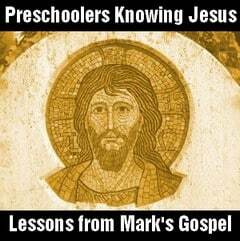 This is lesson continues our curriculum for preschoolers about knowing Jesus. Each lesson is based on a passage in the Gospel of Mark. You can read the series introduction for more explanation and links to the other lessons. This particular lesson is from passages in Mark 10:32-34, 11:1-10 where Jesus rides into Jerusalem on Palm Sunday. Preschoolers will learn that Jesus revealed Himself as a humble, sacrificial King when predicting His death. He is our King, deserving all of our honor and praise. What Do You Think? We love to read your ideas to make the lesson plan better. Simply click here leave a comment or suggestion for this lesson. Exegetical Idea: Jesus predicts His death for a third time to His disciples. He enters intoJerusalem and is honored as King. Pedagogical Idea: Jesus revealed Himself as a humble, sacrificial King when predicting His death. He is our King, deserving all of our honor and praise. Cognitive Aim: Preschoolers will know Jesus is our King and deserves our honor and praise. Affective Aim: Preschoolers will feel confident that Jesus is our King. Behavioral Aim: Preschoolers will memorize John 12:13. Daily Knowing (7-10 minutes) Description: Memorize John 12:13. Supplies: Notecards with John 12:13 written on them for the parents of each child. **Before the children arrive, have the Bible outfits ready. Allow the children to dress-up before gathering them around you for the lesson. Hold up picture of a king. Ask: Who is this? (a king) What do kings do? (Runs his kingdom, makes rules, protects his people, battle, help people, etc.) Are kings weak or strong? Are they powerful or helpless? State: Jesus is going to tell His followers some very important things that are going to happen to Him when they come to Jerusalem. We know Jesus is our king, but these things do not sound like something a king would allow to happen. We are going to find out why! State: Today our lesson is in Mark chapter 10 and Mark chapter 11 (show them the book name and chapters in your Bible). What is this? (hold up your Bible) This is the Bible. It is God’s Word. He wrote it, so we know everything in it is true. This story really happened! And you are going to enter into it today and pretend you were Jesus’ followers! State: The people had heard that Jesus was the Messiah King, and many believed this. But, they wanted Jesus to be their kind of king. When Jesus first enters into Jerusalem, the people are happy and praise Him as their King. When Jesus does not rise up against their enemies and defeat them like a warrior, they become angry and want Him killed. They distrust Him because He is not the type of king they want Him to be. He is not doing things according to their plan. State: Jesus is our King. He is the mightiest king who ever was and who will ever be! Jesus did rise up and defeat the enemy-in dying on the cross and being raised from the dead, Jesus defeated Satan and death (Colossians 2:15-consider reading if adapted for older children). Those who believe and trust in Him have victory over sin and the grave! The people did not see this. They forgot His teaching. Even His closest followers, the twelve disciples, did not realize what was happening until much later, though Jesus had told them at least three times what was going to happen to Him. Draw pictures of the type of king the people wanted and the type of king Jesus was going to show Himself as. For example, one picture of a king in battle on a stallion versus one of Jesus on the cross or riding into Jerusalemon a donkey. He was in the ultimate battle, and He claimed the victory! Help them understand that He is our King, He still fought and triumphed, but in His perfect way, not the way we expect a king to battle. State: Jesus deserves all of our honor and praise! Let’s praise Jesus together as our King through this song that declares who He is! State: One way we can come to know Jesus more is by memorizing God’s Word. Today we are going to memorize a verse that helps us to know Jesus as our King. Our verse is John 12:13, “Hosanna! Blessed is He who comes in the name of the Lord! Blessed is the King of Israel!” Let’s think of hand motions to help us memorize this verse! Make sure you review with them the next week or when you have encounters during the week one-on-one. Remind the parents how important it is for them to help their children review their verses all throughout the week. Encourage them to memorize the verse with their children. Provide each parent with a notecard that has John 12:13 written on it. Consider expanding the lesson with the following truths: God created the world perfect, it all completely submitted to His rule. But mankind rebelled and sinned against Him. God is still in control, but his reign is continually being rebelled against, leading to turmoil, pain, and much sin. Our Scripture passage states, “Blessed is the coming kingdom of our father David.” The ultimate coming of David’s kingdom is Christ’s second coming, when all enemies are conquered, sin is no more, and all things are in complete submission under Christ, our King. Through His reign, all things will be restored and made new! Christ is currently reigning as our King, but it is not until His second return that His kingdom will be fully established and no longer blackened by our sin. Video Clip: To adapt for older children who understand clearly between the realness of Christ and the imagination of Aslan, show a clip of King Peter in battle and Aslan going to the stone table to illustrate the difference between the people’s plan and God’s plan. Jesus demonstrated Himself as our sacrificial King who lay down His life for us. He will return one day and vanquish all enemies! You could also show this kid-friendly Easter story video. Coloring Pages: For younger children you can print our free Palm Sunday Coloring pages. Craft Ideas: To extend this lesson, you can use our paper palm leaf craft or Jesus is king paper crown. More Lesson Ideas: Compare this lesson plan with a similar Palm Sunday preschool lesson based on Matthew 21. You can also get ideas from the elementary-aged Palm Sunday Bible lesson. Tony Kummer (Editor) reviewed & updated this page on : March 30, 2019 at 12:54 pm. All our content is peer reviewed by our readers, simply leave a comment on any post suggest an update.